Here is another beauty box review I am excited to share with you all. 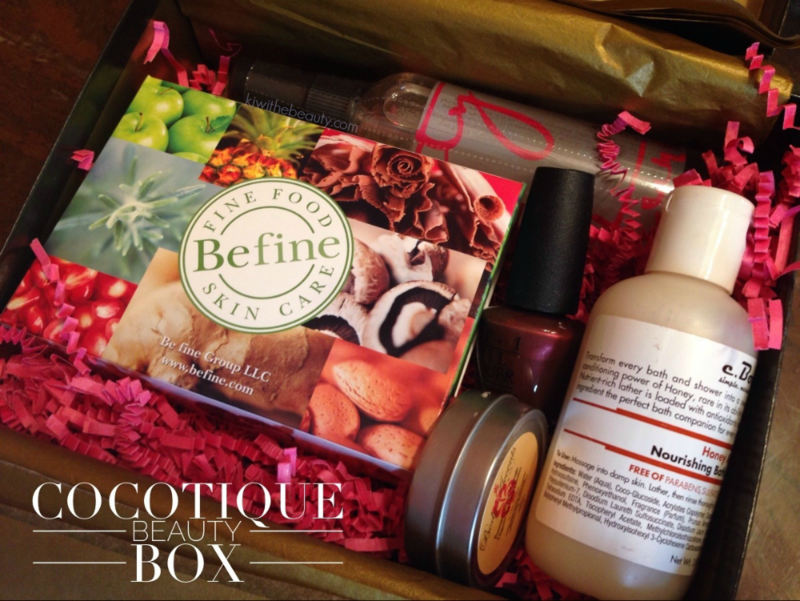 I was given the January Cocotique “Beautifully Delicious” Limited Edition Beauty Box. Now upon the first look, you would assume this is a very luxury gift wrapped chocolate box. I assure you thefre are no chocolate goodies, but goodies are in here nonetheless. 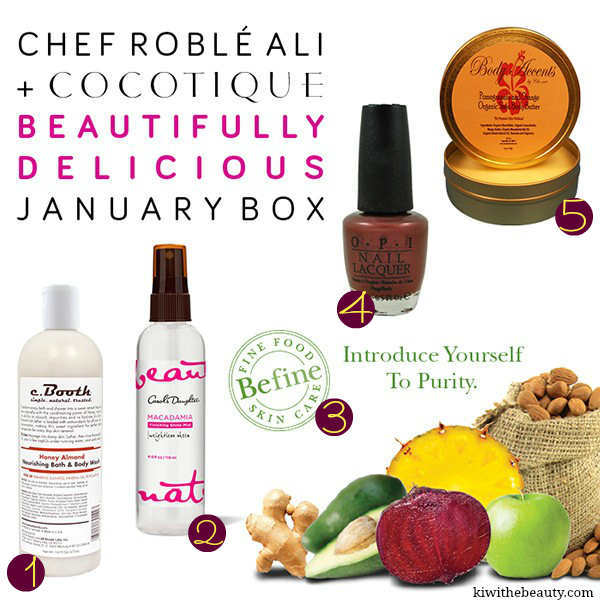 January “Beautifully Delicious” Box, curated by Chef Roble Ali. When I unwrapped my beautifully packaged box, I was in awe of the awesome products. You should all know by now that I am a beauty product junkie so I was very excited to get these items. It was a great mix and variety of different beauty products such as nail polish, skins care packets, hair spray, body wash and shea butter. All the the products listed have a foodie theme that goes great with the Chef Roble box. Some brands I were familiar with and there were some I’ve never heard of. That’s the beauty of this box is that it introduces you to products you didn’t know were on the market. Ready to sign up? Is there any products from the “Beautifully Delicious” Box you want to try? I just tried some samples of Befine from a goodie bag a Brown Sugar scrub and I must get some! I miss getting these boxes but I’m moving and cutting back on spending! The honey body was sounds like it smells good. OMG I love the Befine brand. So happy I was introduced to it! 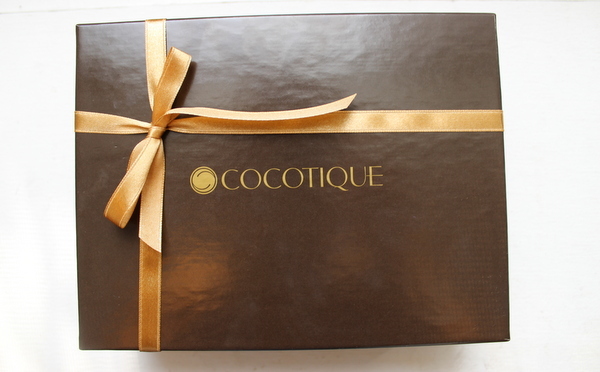 Yes Cocotique box was a very elegant box it was really exciting to unbox it!